Something a little different this week; we are not alone. 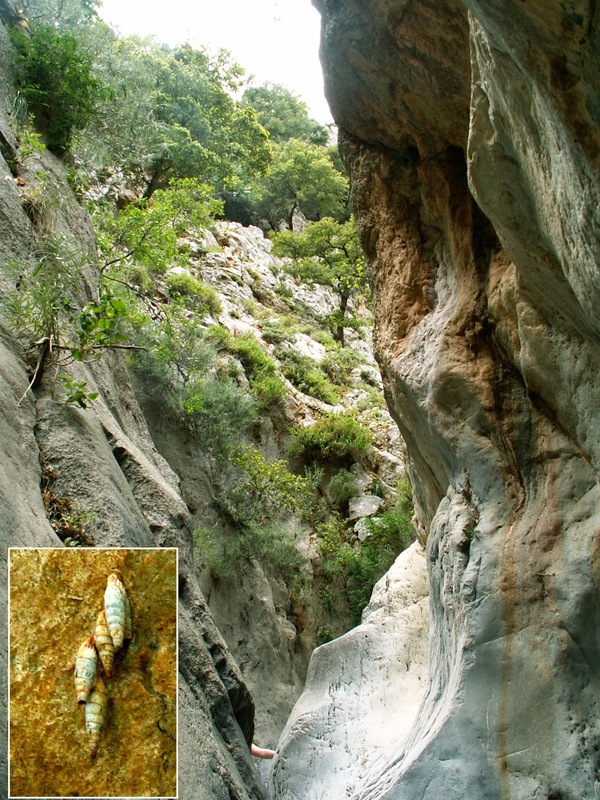 We have been invited to walk through the Kritsa Gorge and admire the wonders of nature with a few other like minded souls. So, without further preamble let us join our intrepid fellow explorers in the village of Kritsa, a few miles to the south west of Agios Nikolaos. Our hosts for the day are Yvonne and Alan Payne and as Alan bounds up the hill like a mountain goat with the stronger members of the party we’ll tarry on behind at our usual pace. Someone has helpfully placed a set of rough, cobbled steps up the hillside which, Yvonne informs me are either Minoan or Dorian. I resist the urge to speculate that as they are gray they must be Dorian as it is a little too early in the morning for atrocious puns. Catching up with Rosemary John and Steve Lenton, both of whom are serious botanists, we find them musing over some striking little yellow, star shaped flowers growing out of the rock walls which they have identified as Sedum litoreum var. creticum. That’s Stonecrop to you and me. It’s as well to introduce you to them now as, like botanists everywhere, they’ll be jabbering away in Latin for the rest of the day and we won’t get a word of sense out of them. 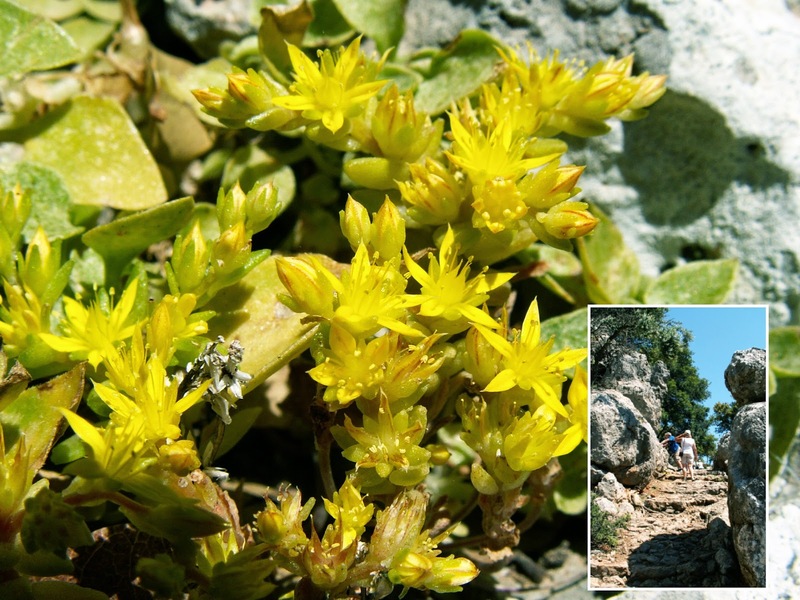 Incidentally stonecrop is not just a pretty flower, it’s a favourite of the bio-architects who design living roofs. The Rolls-Royce car plant in the UK and the Nintendo facility in the US are covered in acres of the things. Good. That’s the serious climbing over and done with and the views from the summit are well worth the effort. This is songbird country and Lynne and Anne are wondering how some people can identify so many different bird species by their song. I shall endeavour to give a few tips with reference to the birds we can hear around us, a task made somewhat difficult by a large herd of bell bedecked goats who appear to be attempting one of Stockhausen’s more complex cantatas in various keys, mostly of their own devising. The trick is to identify the four or five commonest birds in your area and we have four of Lassithi’s regulars up here singing their hearts out now. You don’t have to memorise the whole song but just pick out certain features. 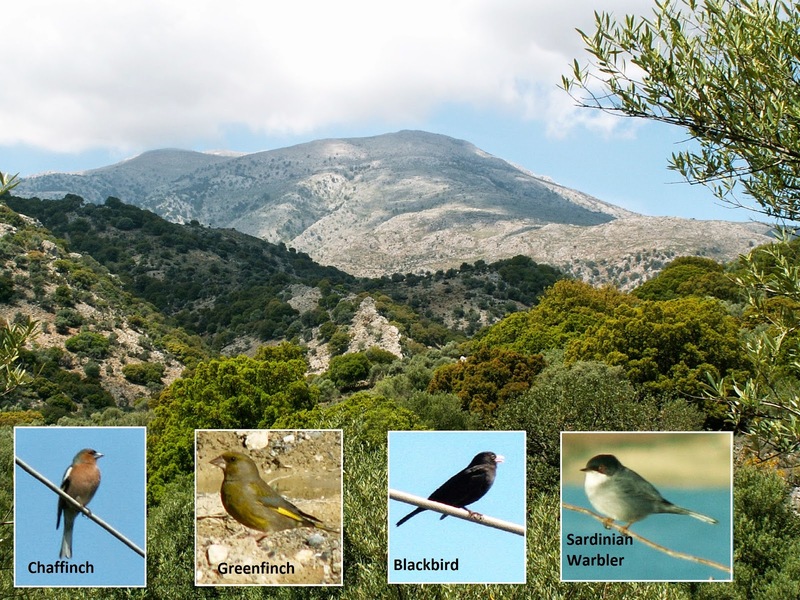 The Chaffinch, for example, incorporates descending trills like a pianist going down the keyboard, the Greenfinch punctuates and ends his phrases with a long wheeze, the Blackbird has a very liquid, bubbly song reminiscent of water trickling over pebbles and the Sardinian Warbler has a peculiar rattle in his phrases which seems out of place at first but then seems to blend in on an indefinable level (back to Stockhausen again). Once you can recognize your local birds and have them firmly lodged in your mind you can tune them out and listen for the less common birds. Listen, look and lodge in memory and you begin to build up a library of bird songs that will stay with you for all time. We are now beginning the descent into the gorge itself so watch your footing. Passing an old donkey grinding mill on the way (that’s a grinding mill operated by donkeys rather than a mill for grinding donkeys) and the last of the pyramid orchids still flowering in the shady hollows we now reach the base which is littered with stream smoothed boulders. The limestone walls have been carved into weird and grotesque shapes by the spring torrents of meltwater from the Dhikti mountains and Cynthia points out some curious creatures adhered to them. These are Pointed Snails and they hang in clusters like strange fruits, their shells made of the very limestone to which they are attached. Although it is only early May the water responsible for these sculptures has now gone and the gorge is dry and sere, a fact which I have been bemoaning at intervals to other members of the group for the wildlife is scarce. In my haste I grab an overhanging carob branch for support which promptly cracks with a loud report. This causes everyone to turn and look as I flail about on top of a boulder, like a Victorian monkey-on-a-stick toy, trying to regain my balance. My explanation that I was only taking a sample of the tree branch to illustrate a biological feature of its bark is met with deserved scepticism. Alan is triumphantly indicating my ‘present’ which, from here, appears to be Anne sitting demurely on a rock. A closer approach however shows that she is sitting above a pool of brackish water which is almost as exciting a prospect. The water contains much as we would expect from our previous explorations, the midge and/or mosquito larvae for instance that we examined in some detail in Nature is Winning, but do you notice these strange little cases near the water’s edge? These are the pupa cases left by the large numbers of Crane Flies that are drifting about and getting in our faces. Look at this pair mating on the rock wall here. 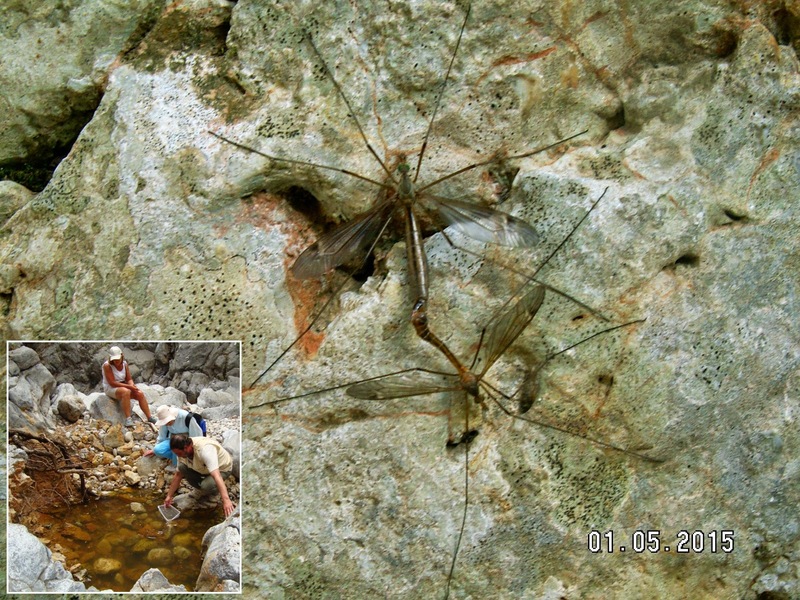 You can get closer, although they look like gigantic mosquitoes they’re totally inoffensive little animals and don’t bite. Do you see the two rods with black blobs on the end under the wings of the one facing downwards? These are called halteres and all flies have them, in fact it’s part of what makes a fly a fly and separates them from other insects. Back in their evolutionary history these were their hind wings and then, one day, a gene flipped on during metamorphosis and the hind wings failed to develop. This was not bad news however the little stub that was left acted as a gyroscope which is why flies have such remarkable aerial agility. And now a rest stop before we negotiate our way back out and over the top. “There are only a couple of difficult bits after this,” says Alan, jovially. By which he probably means the first bit and the second bit. I’m getting wise to Alan’s reassurances by now. If he says it’s all ‘plain sailing’ expect to wade through five feet of unexpected water. Ah well, onwards and upwards as the saying goes. He’s not kidding about the difficult bits is he? I’ve just seen Cynthia, a veteran hiker with more years experience of this kind of terrain than she would care to admit to, stoutly negotiating a vertical drop with the aid of her walking stick where I’d have preferred to use ropes and the odd belay or two. Keep going, only a couple of hundred feet of climbing to get out of the gorge. And so finally, five and a half hours later, we arrive back at the village and a welcome taverna and with only one minor casualty. (Yvonne sustained a sprained ankle whilst trying to perform a particularly advanced pirouette on top of a loose boulder and perfectly demonstrated Newton’s Law of Gravitational Attraction as a result). Until next week, when I promise you something a little gentler – happy hunting. The motley crew in the photograph are (clockwise from top left): Anne Roxy, Yvonne and Alan Payne, Lynne McDonald, Rosemary John, Steve Lenton, Cynthia Pay. Available in paperback and e-book from Silverwood Books and Amazon.co.uk . in the UK and Amazon.com. worldwide. 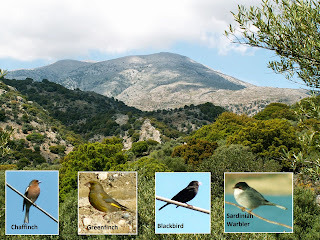 Steve Lenton hosts a highly recommended website Cretan Flora providing an illustrated guide to the Flora of Crete which is easy to navigate for the novice flower spotter and full of technical information for the professional botanist. And of course there’s also my own Naturalists Group (the facebook page that accompanies this blog). 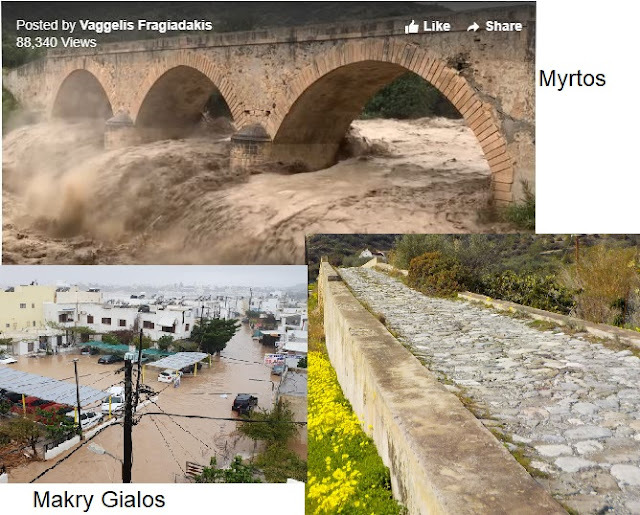 Never realised there's a Kritsa gorge, I remember the road out of the back of Kritsa leading past a high rust red outcrop.